I would like to share how juicing changed our life radically -- in terms of losing weight and gaining more energy. I would like to also share some photos of ourselves -- both me and my husband, as we have gone through the transformations. My husband was enjoying the Asian lifestyle so much (like eating rice, etc) that over the years he accumulated some fat on his belly. He is considered someone with moderate exercising activities and tries to eat healthy every now and then. However, despite the urge of being healthy, the round belly accumulated and here in the picture you can see that when we went to the beach you could peak at the love handles. After 24 days of juice cleansing (he ate soup or salad in the evening), he lost 8kg initially. 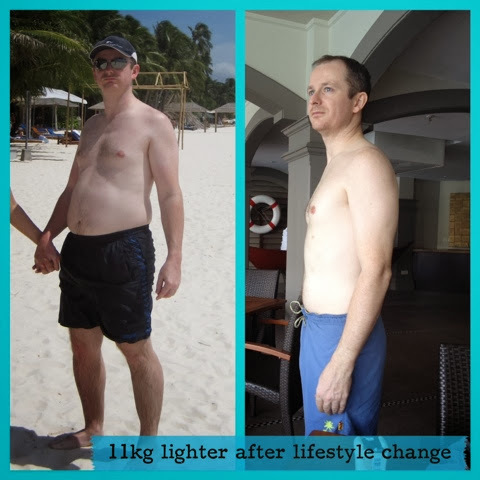 Due to the continued lifestyle change -- eating less meat, less coffee, less processed foods -- he gained more energy which means he went running and hiking more than before... he continued to lose weight until he lost a total of 11kg. As for me, my experience is different. I was pregnant when we started our juice journey, so I couldn't do a full juice cleanse. I started drinking juices to complement my meals. I replaced my breakfast with the green juices first thing in the morning. Then if I am hungry I would eat something an hour after. One must learn how to listen to your body. After delivering, I was still taking juice during my confinement period. And by the 2nd month of delivering, I lost a total of 11kg. 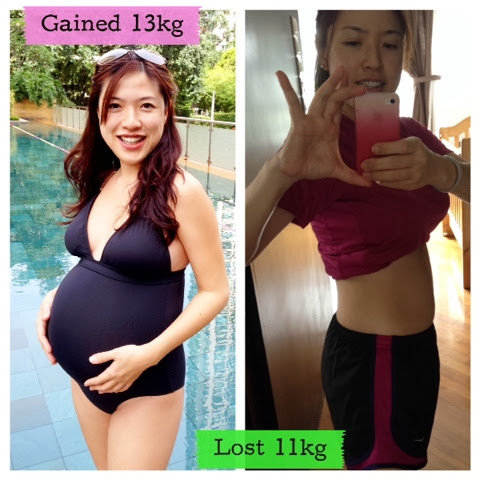 I recovered faster from my c-section, had more energy to move around, and lost weight faster than my 1st pregnancy. Juicing changed our lives. I hope it will change yours too!